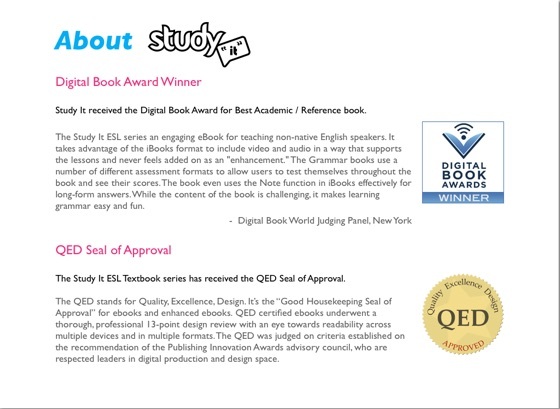 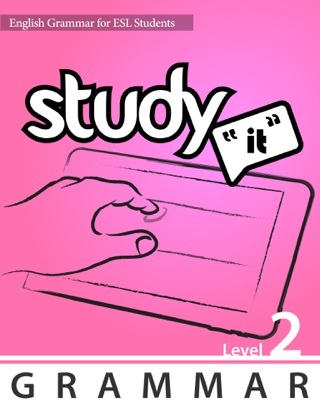 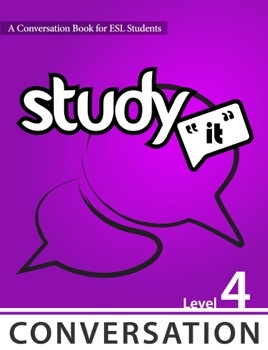 The Study It Conversation series is an exclusively-designed English as a Second Language textbook for students, teachers and language programs. 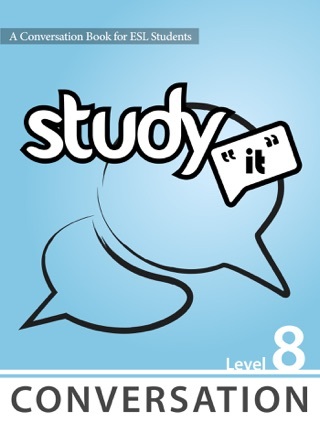 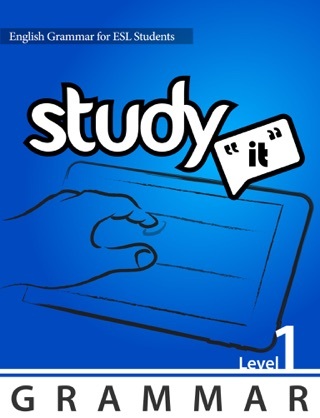 The Study It Conversation series consists of 8 different levels. 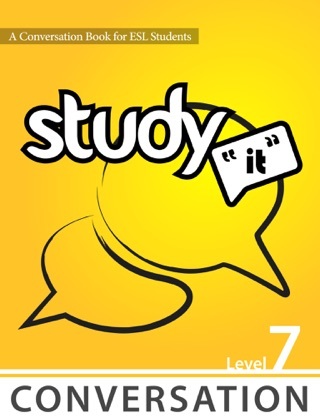 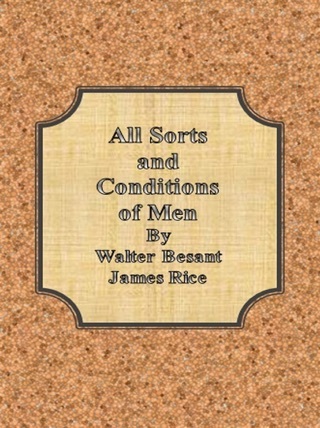 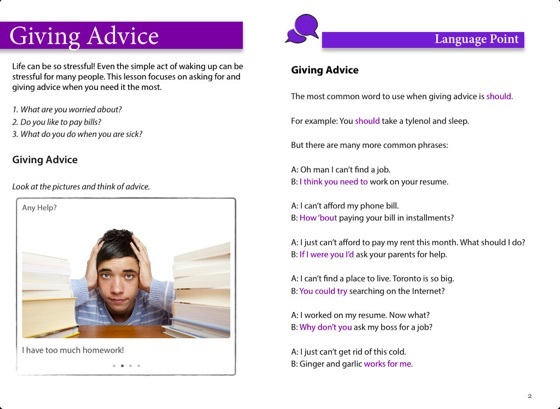 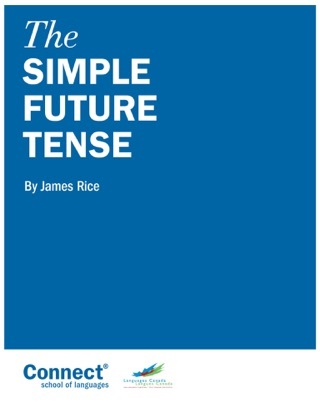 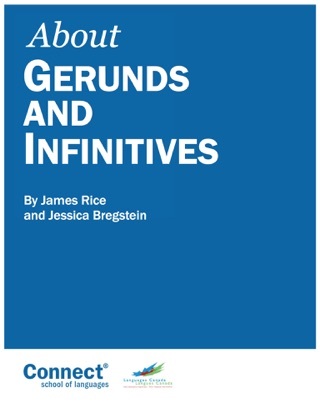 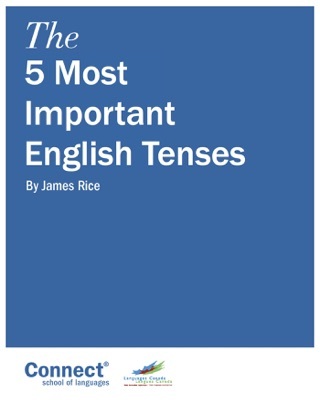 Download Book 4 of 8 which is for Intermediate language learners. 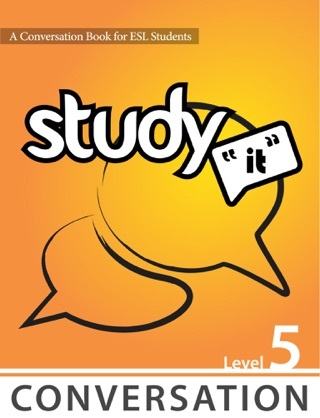 Excellent for students with an IELTS speaking score of 5 to 6. 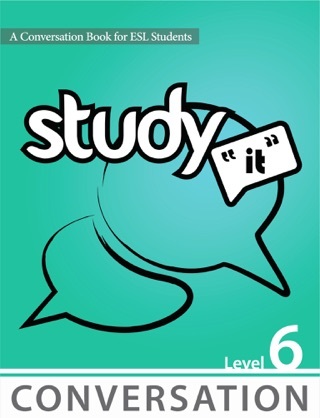 Some of the conversation topics include: Giving Advice, Complaining and Apologizing, Podcasts, Idioms, Narrating a Story, Unsolved Mysteries, Emergencies, and many more.